You could say last night was a dream come true! Haley and Jeffrey were such a joy to be around for their southern maryland engagement session down at their farm! Complete with all the baby animals and tons of cuddles. 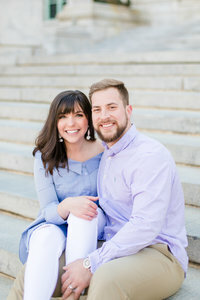 We can not WAIT for their wedding in April! I mean just look at the way he can make her smile! To view more southern maryland engagement session s, browse the links below!